Martin Luther King Jr. Day is an opportunity for churches to celebrate a social and historic hero who also happened to be a pastor. 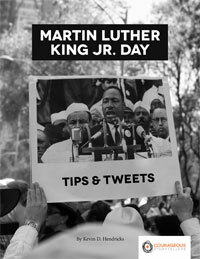 We put together a resource for churches that explores why they should celebrate MLK Day and how to do it. In addition to practical tips and suggestions, the resource also includes ready-made social media posts to help churches embrace the vision of Martin Luther King Jr.